The design just amazed me. 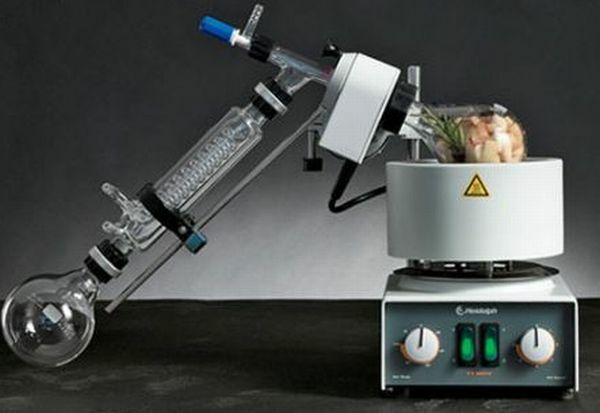 The Heidolph vv micro evaporator which looks like an Einstein gadget is like a small distillery capable of extracting flavored syrup from almost any kind of food. Just put the food in the evaporation flask. The food is heated up by rotation in hot water. The moisture is later collected in the form of clear liquid in another flask. Best part, the flavor, color and texture is completely preserved and delivered. 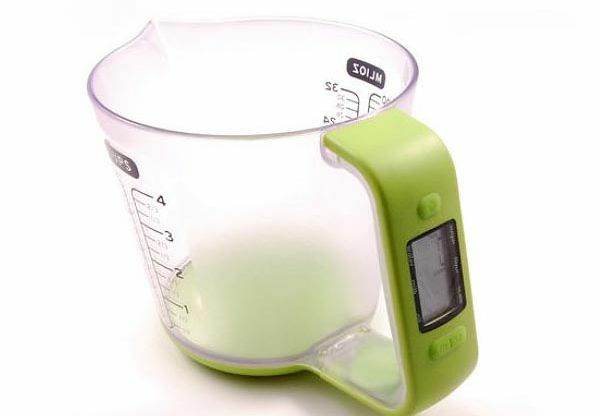 Measuring cup with a LCD display. 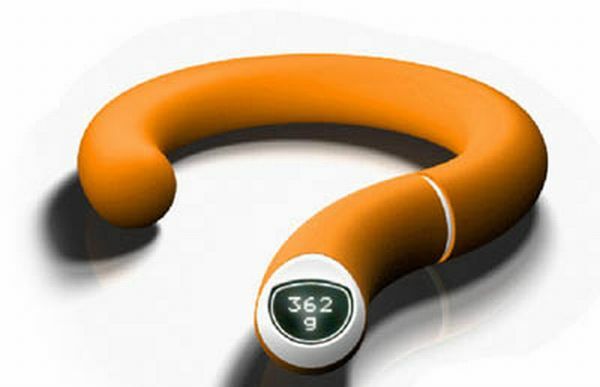 This is a convenience gadget that you would love. Whenever a dish is not as appropriately made as you would have liked, we certainly suspect the measurements of the ingredients. Well, the eKitch Digital Measuring cup is a cup of size 140×133x135mm with an LCD display. It helps you measure in ml, ounces, cups or fl.oz. Mix the ingredients in perfect volume, just as you would like. Joy scale lets you enjoy the time while you cook with your favorite music. 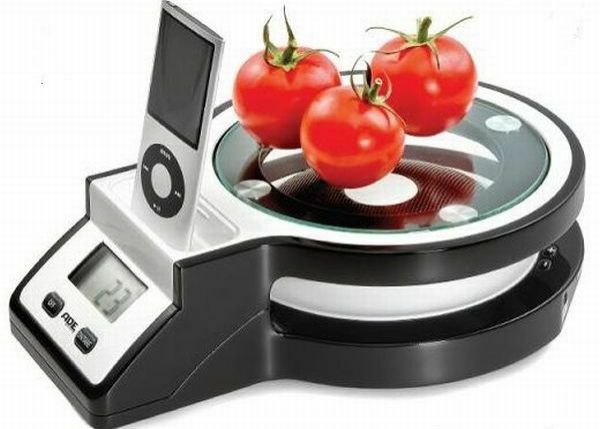 An iPod docking station embedded in a kitchen scale can look both fancy and useful in your kitchen. It looks good, sounds good, and also has battery indicators to keep you notified. Still thinking if you need it? it’s cheaper than you think. Martin Prame’s electrical kitchen scale concept does not require batteries or even power output. The mechanical energy to open the device is enough to power it. It gives you the precision of electrical scales at no usage cost. It eliminates dirt from fruits and vegetables. Ultrasonic Vegetable Cleaner is a device that ensures that you eat a clean and healthy food. We can make sure that we eat right we definitely need assistance in making it clean and consumable. It’s a device that uses ultrasonic waves to eliminate dirt from fruits and vegetables. It’s like a nanny who makes sure you consume hygienic food. 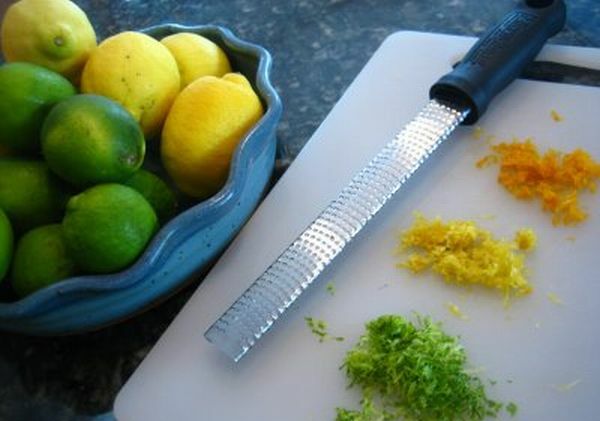 Microplane Zester/Grater is one kitchen equipment which I not one of the latest innovations but is definitely one of the most useful items in a kitchen. To beautifully grate ingredients and use fresh stuff instead of buying packed and processed you need it. 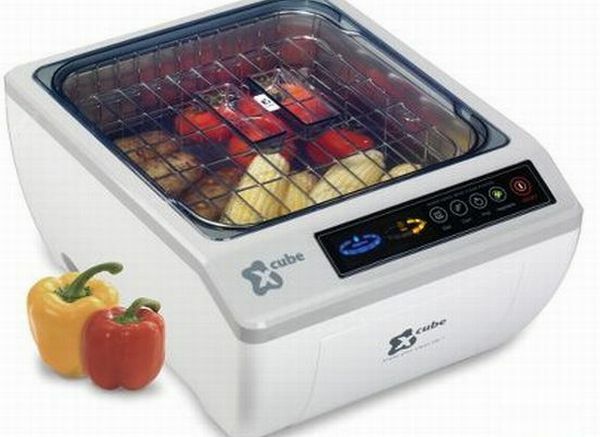 You can use it to grate vegetables, spices, fruits, chocolate bars and so much more. It makes cooking easier. Delivering 10,000 rounds per minute, this is a hassle-free blender that needs no cables. Fully charged, it can be used for 25 nonstop minutes anywhere without any power source. 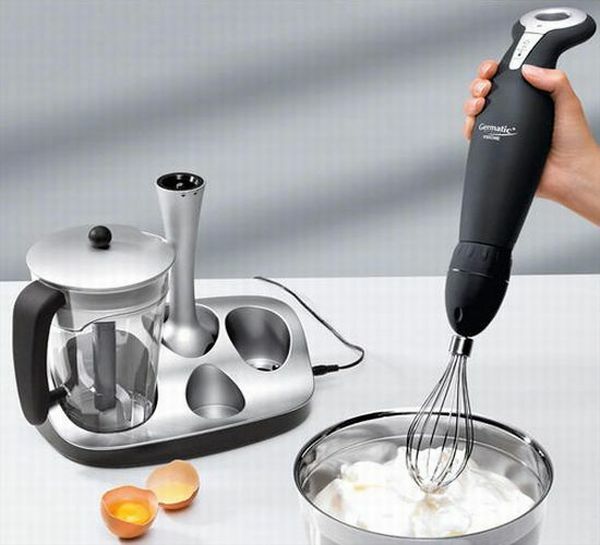 This an elegant and smart kitchen gadget to strengthen your kitchen with beauty and brains. The BeepEgg recites the ultimate end of its oval mates in a musical manner. 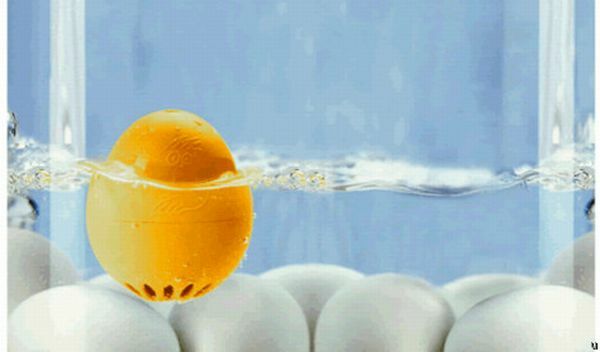 It helps you keep a check on the boiling eggs to make sure they boil the way you like them to be. It will beep at 113 degrees and then you will hear the songs, the first when the eggs are soft boiled, followed by I wish I was a hen when medium boiled and finally an epic tune to notify you that the eggs are hard boiled. Interesting! Whatever you may plan to o after you get up in the morning, the first thing you need is an effortless healthy breakfast. That’s where the Toast n Egg comes in play. A combination of toast and egg is since ages. 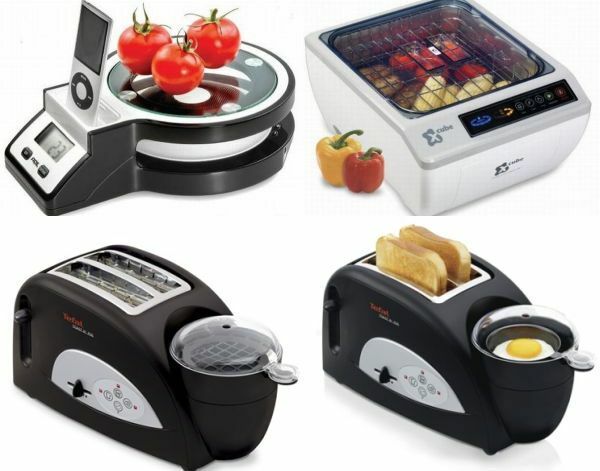 A toast maker with an egg poaching tray which can also be used as a meat warming tray is perfect. You definitely need this one. The Zyliss Smart Touch Salad Spinner is the winner of the IDEA bronze award 2008. A single touch is all you need to make the basket spin to dry the contents and another touch to stop it. You can now wash, mix and dry greens efficiently and quicker than ever. Also, it comes in a very eye-catchy design!